$1.00 for Three Days then just $29.00 Per Month! 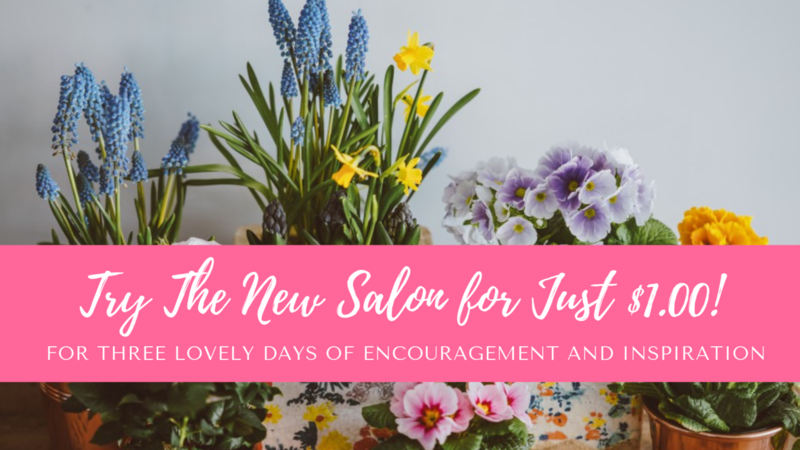 Designed to give you a taste of everything The Salon offers, the trial is completely without obligation, and should you decide it isn't for you, simply cancel your subscription before your trial ends. I'm so looking forward to welcoming you inside!